Can 35 minutes change your family’s life? Probably not, but it could definitely change your weekend. Thirty-five minutes is how long it takes a Washington state ferry to chug 9 miles from downtown Seattle across Elliott Bay to Bainbridge Island. It’s a minor miracle: In just over half an hour, you can journey from a crane-filled metropolis to an island ribboned with quiet roads, playful beaches, farm stores, historical sites and Sound views. 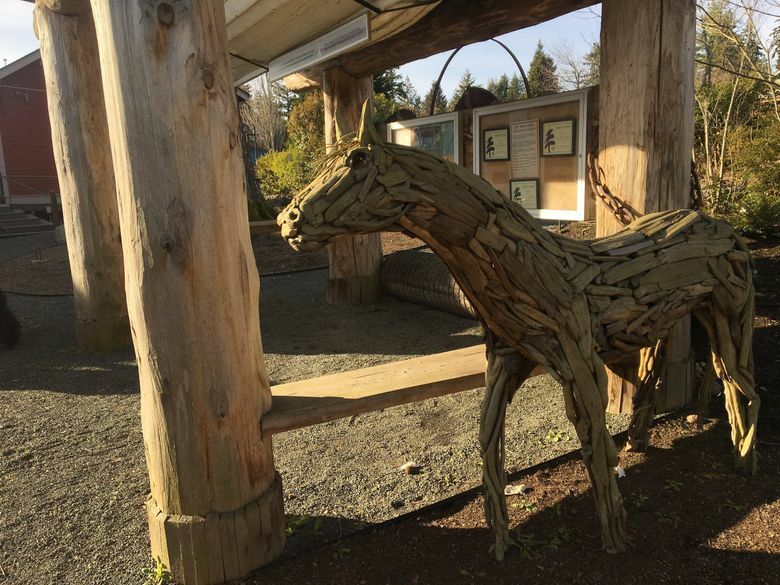 In other words, Bainbridge Island is an easy-as-pie spring escape for busy families. And whether you bring the car or not, on an island that’s just 10 miles long and 5 miles wide, you won’t spend much time behind the wheel. Here’s a starter two-day itinerary of kid-friendly activities — mix and match depending on weather, season and temperaments. Ferry fun: The kids are up early anyway, so why not beat downtown Seattle traffic and show up early at Colman Dock? 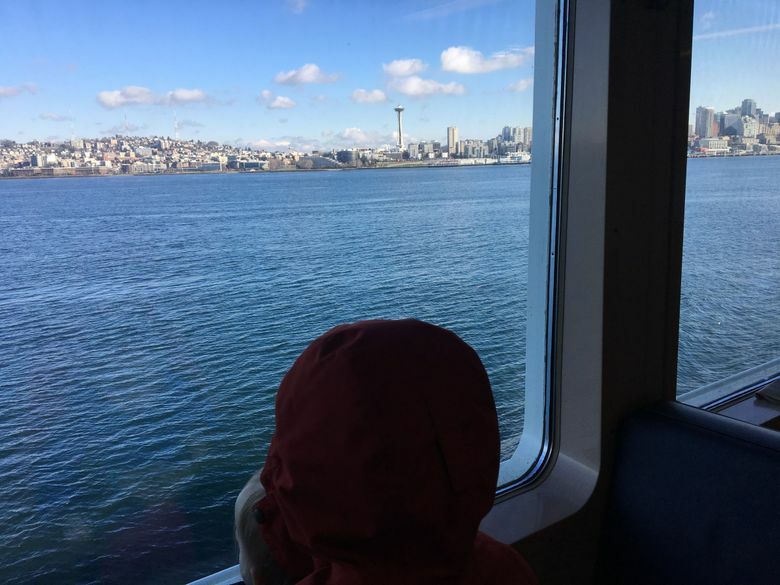 Once you’re aboard, the Seattle-Bainbridge route is just long enough to grab lowbrow snacks from the cafeteria (no, it’s not too early to feed the kids a hot dog), stroll the deck and appreciate the perfection that is ferry travel: endless amounts of room with views. 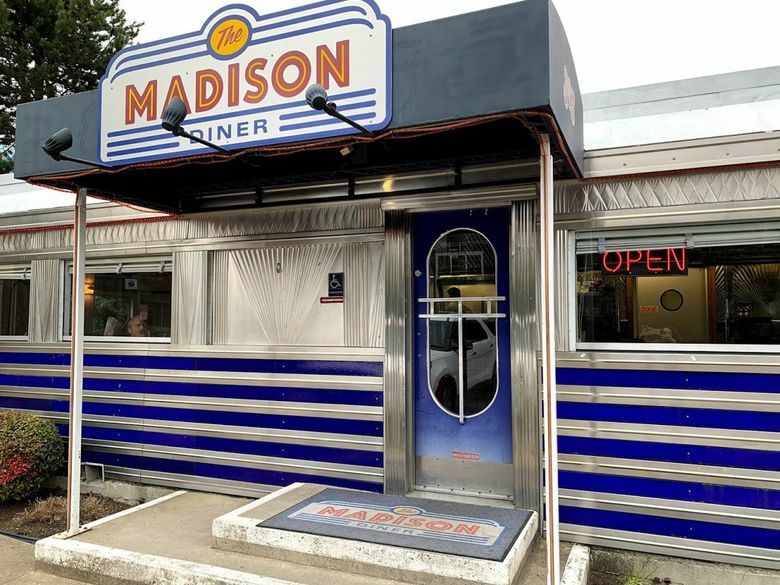 Get your bearings (and breakfast) in Winslow: Just a few blocks from the ferry dock in Winslow, you can eat your eggs and hash browns in an actual railroad car, the Madison Diner. Or skip a sit-down meal and grab croissants and Danishes from Blackbird Bakery to fuel a walk on the waterfront. If it’s a glorious day, stop at city dock to rent a kayak from Exotic Aquatics. Pick up essential lunch supplies at the Town & Country Market before you begin island excursions. On the way out of town, make a play stop at Owen’s Playground, a 2-year-old all-abilities playground with a hand-cranked water pump, boulder scramble and adaptive swings. Beach it at Fay Bainbridge: Head north for beach play and a picnic at this lovely shoreline park. 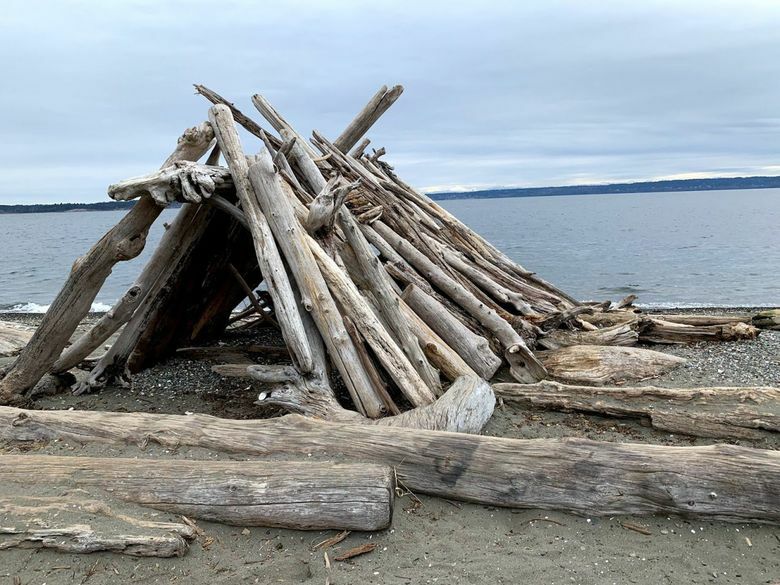 Though at 17 acres it isn’t huge, Fay Bainbridge has everything a family could love, including a driftwood-strewn beach (with premade forts), a small playground and Adirondack chairs. 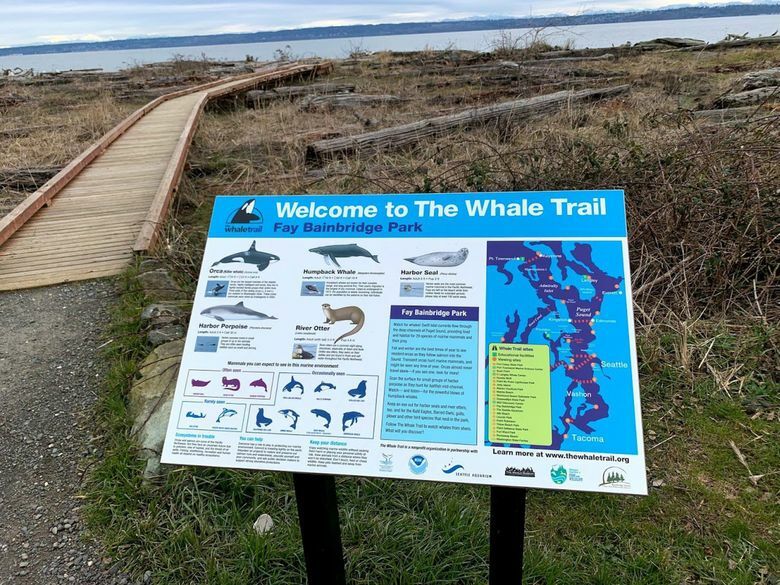 It’s also located on the Whale Trail, so a sighting of a sea lion or even an orca might be in your future. 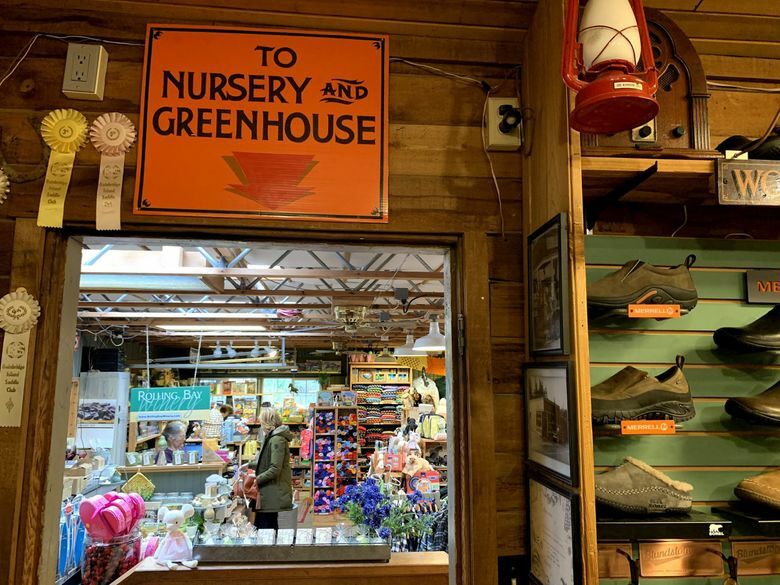 Go retro at Rolling Bay: You won’t find the little-bit-of-everything farm store Bay Hay & Feed — located in tiny Rolling Bay just a few miles south of Fay Bainbridge — on tourist maps, but that’s its charm. 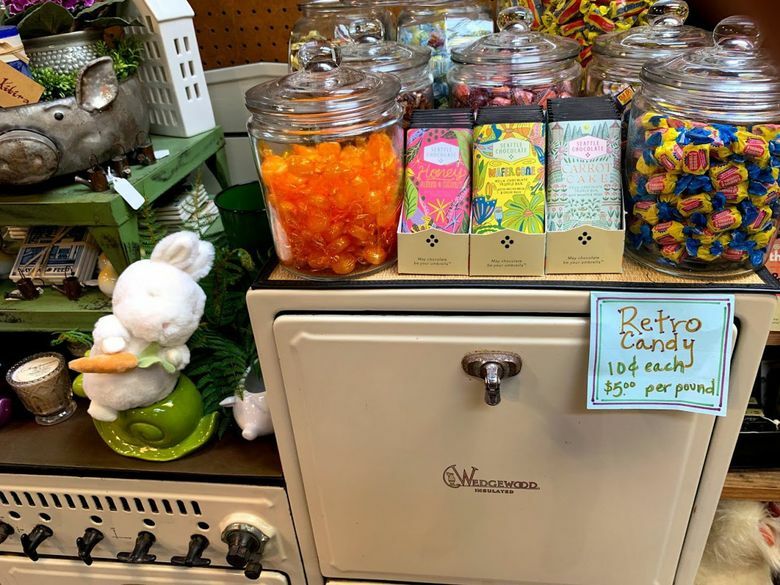 Stock up on rain gear, spring plants, pet supplies and locally sourced farm goods while your kids shop for penny candy. It will be a collective effort to NOT come home with a fuzzy baby chick or duck — Bay Hay & Feed sells up to 20 varieties throughout the spring. Just across the street is your early-dinner destination, Via Rosa 11, an authentic Italian restaurant (and retail market) serving freshly made pastas, meatballs, pizzas and soups (it’s closed Sundays). If ice cream is an essential part of your family’s escape plan (it is for mine), meander back to Winslow for a dish of dulce de leche ice cream at Mora Iced Creamery. Time-travel to 1942: Morning, when everyone is fresh, is a good time of day for an essential history lesson. 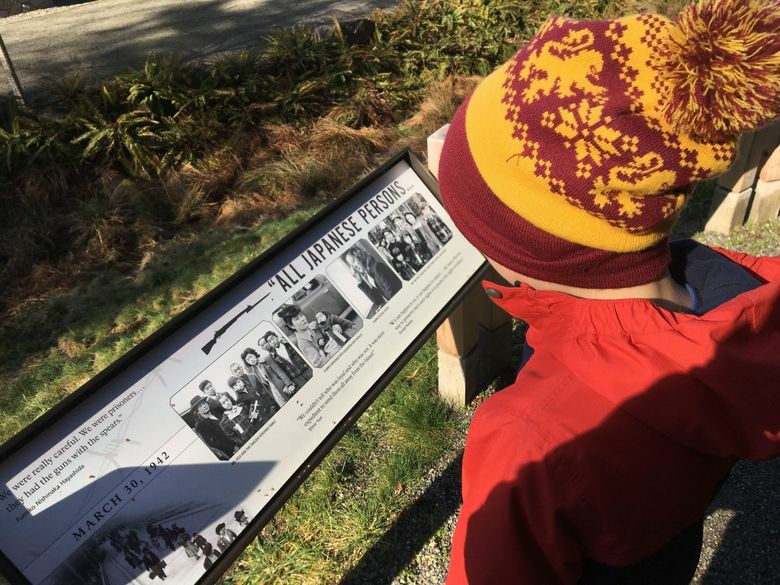 Just 10 minutes south of Winslow at Pritchard Park, the Bainbridge Island Japanese American Exclusion Memorial is an immersive outdoor exhibit that is well worth a visit no matter the age of your kids. I recently took my 9-year-old son to the memorial for the first time, along with the toddler daughter of a friend. Both kids were engaged: My son read some of the stories in between chasing the toddler through the beautifully landscaped exhibit, up and over paths and bridges. 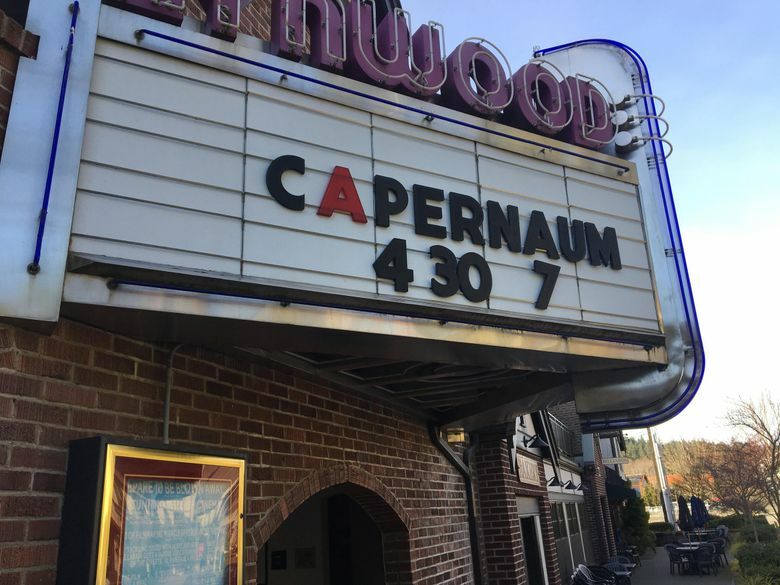 Lunch at Lynwood Center: A mixed-use district near the southern tip of the island, Lynwood Center mixes retro and new to good effect, with a 1930s-era movie theater, scooter-friendly sidewalks, shops and eateries. Refuel on sandwiches and coffee at The Marketplace, and follow with fro-yo next door at Island Cool, where in-progress puzzles on tables invite lingering. Bring home artisan bacon from Heyday Farm store across the street. 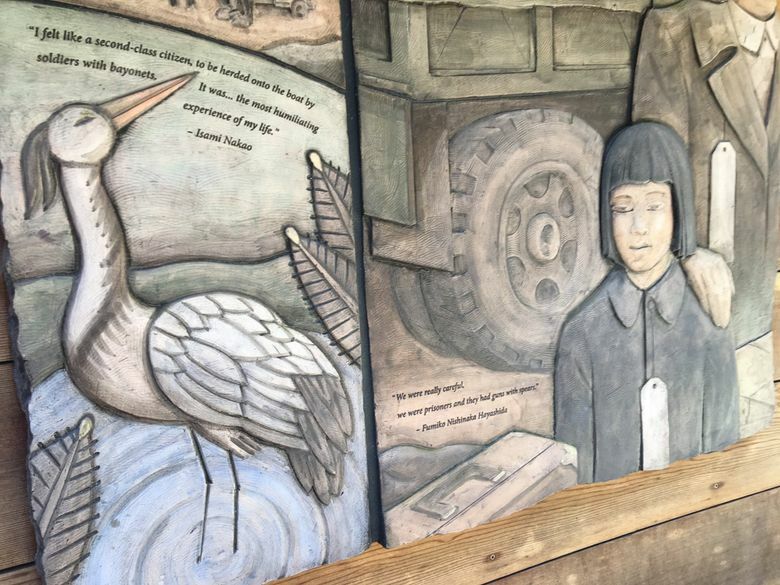 Forts at Fort Ward: Just a mile from Lynwood Center, Fort Ward is an under-the-radar island wonder with no user fee required. Bike or scooter on the paved trail along Rich Passage, and see if you can find the park’s two remnant gun batteries. Battle Point Park: Another easy win — and possible alternative to Fort Ward — is Battle Point Park, a 90-acre former naval radio station that’s a 20-minute drive northwest from Fort Ward. The KidsUp! 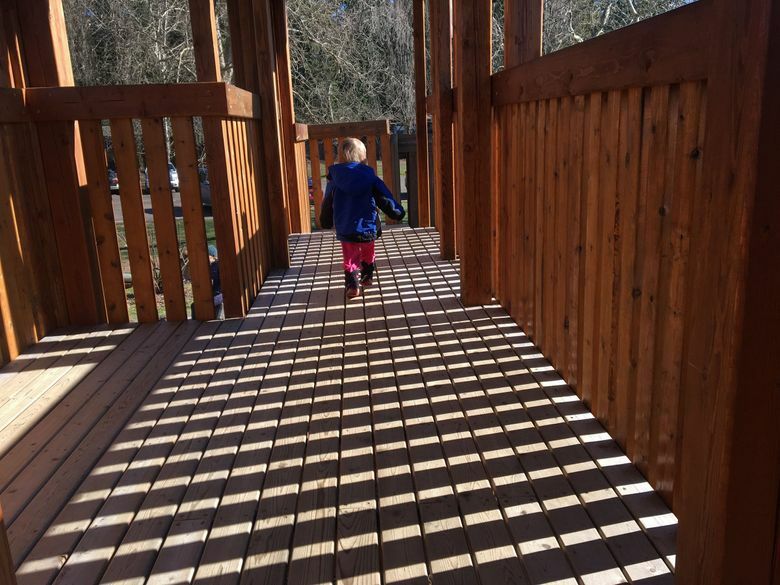 playground is locally famous for its kid-designed wooden structures. Just beyond the playground, a mountain-biking track provides bumps and jumps. At the north end of the park, follow the half-mile Fairy Dell trail that winds, streamside, through old-growth forest to the Sound. Books and blocks in Winslow: Before you wind up the weekend, head back to Winslow to explore indoor pleasures. Kids can squander their allowance at Bon Bon Candies or Calico Toy Shoppe. 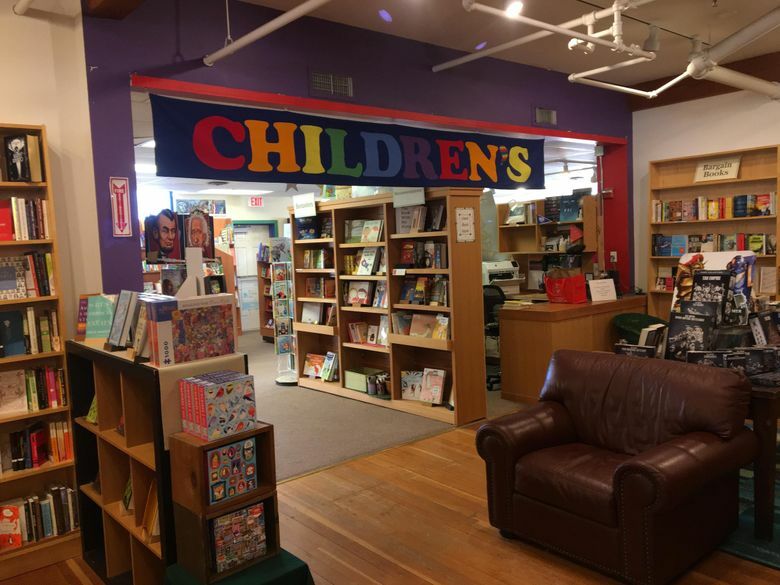 Everyone will sink into Eagle Harbor Book Co., an almost-50-year-old independent bookstore with a great selection of new and used books. 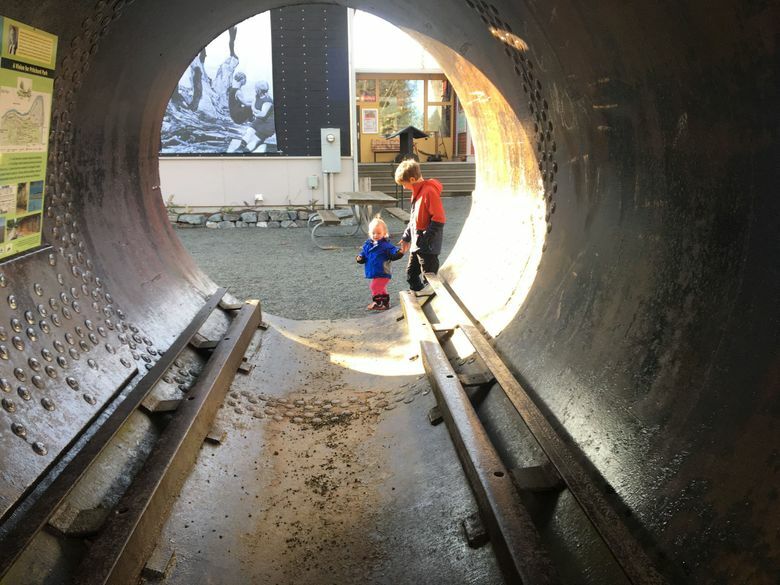 The Bainbridge Island Historical Museum is a surprising hit with kids, especially for the outdoor exhibits, which include a huge, tunnellike “retort” — a wood compressor — that’s a relic from the island’s storied history as a milling center. 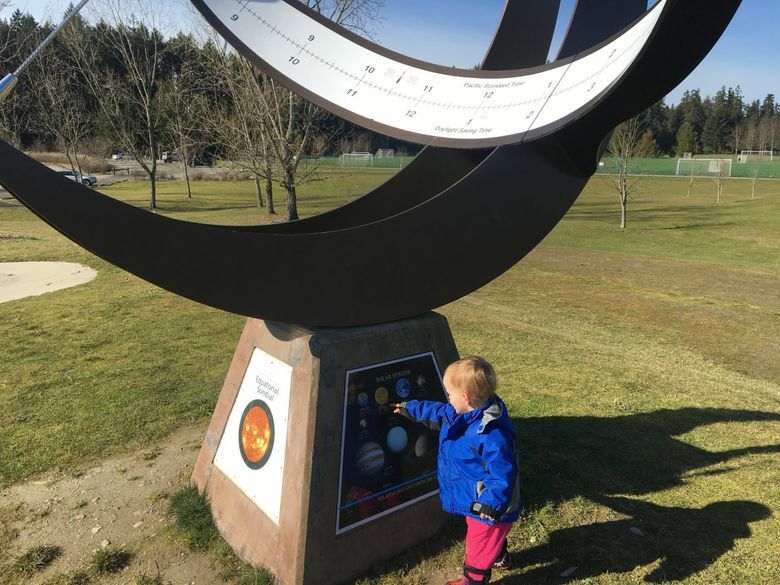 Finally, if you have younger kids, you can’t leave Bainbridge without playtime at Kids Discovery Museum (KiDiMu), just a block from the ferry terminal. The newly remodeled tot area and the pirate treehouse will draw in the short set, while the big blue Imagination Playground blocks bring out fort-building fervor in kids of any age. Here’s an inspired idea, courtesy of KiDiMu’s Krzysztofa McDonough. If you have two grown-ups in your party, leave one at KiDiMu with the kids while the other explores the free-admission Bainbridge Island Museum of Art, just next door. You could even sneak off to enjoy an IPA at the 21-and-over Bainbridge Brewing Alehouse, which is also right there. Now that’s my kind of escape plan. Getting there: Board a Washington State ferry from Pier 52, Colman Dock; prices start at $15.25 for a standard-size vehicle and driver during nonpeak season; passengers are $4.25-$8.50 (kids 5 and under are free). Vehicle fares are one-way; passenger fares are round-trip. Find schedules and fares and construction alerts at wsdot.wa.gov/ferries. Where to stay: If you stay in Winslow, The Eagle Harbor Inn is a boutique inn just a block from the water. Less-expensive options relatively close to town include The Marshall Suites (bonus: it’s near the Bainbridge Island Aquatics Center). The Inn at Pleasant Beach (at Lynwood Center), is expanding in 2019 and boasts an outdoor pool and hot tub (open seasonally). Destination Bainbridge’s lodging page lists a tantalizing mix of retreats, cottages, lofts and hideaways. Pitch a tent (or rent a cabin) at Fay Bainbridge Park. 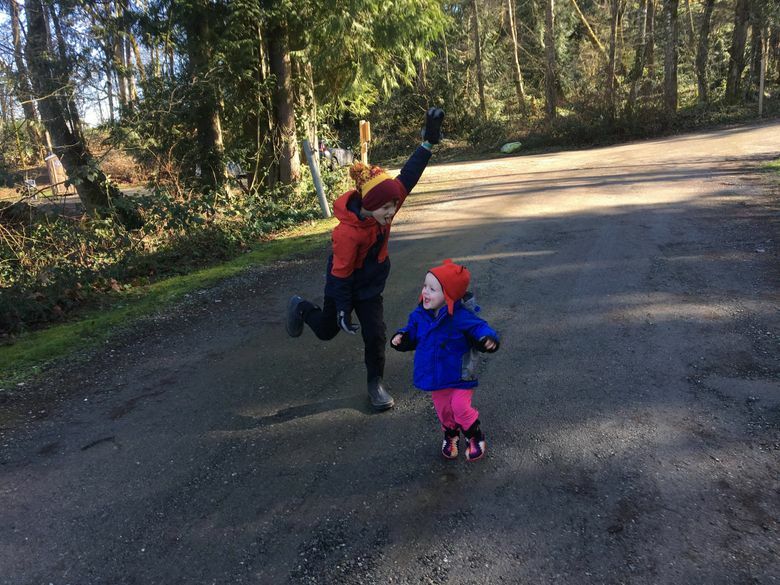 IslandWood bonus: Bainbridge Island’s IslandWood outdoor education center is a fantastic destination for nature-oriented families — the crown jewel is a 125-foot-tall forest canopy tower — but it’s only open to the public on select days. Check the calendar for upcoming events. Transportation: Want to explore the island car-free? Kitsap Transit’s BI Ride is a “shared-ride service” that will whisk you to three scheduled stops on the island, as well as to specific stop requests (reserve ahead at 844-4BI-RIDE). Fare is $2; kids 5 and under are free. 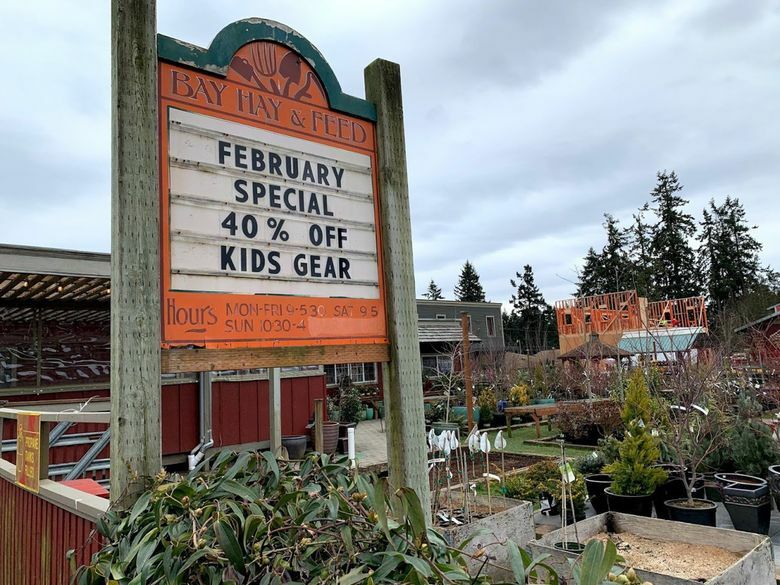 Events: Plan a Bainbridge getaway around one of the island’s signature events, such as the annual Mochi Festival at IslandWood in January; the first-Friday Bainbridge Art Walk, when Kids Discovery Museum also offers free admission; or the old-timey Grand Old Fourth of July celebration. 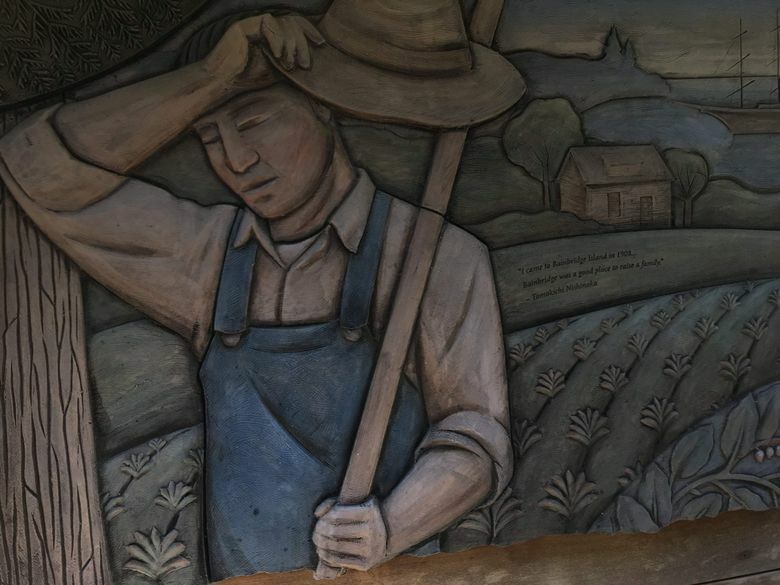 Sources: Several Kitsap locals shared ideas with me for this article (thank you! ), including Krzysztofa McDonough, communication and marketing director for Kids Discovery Museum; Robin Simons; and Jennifer Jones, of Sparkson Photography.